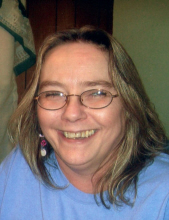 Theresa Lynn Carter, age 57, of Mattoon passed away at 3:40 p.m. on Thursday, April 4, 2019 at her residence. Survivors include her father, Carl L. Carter Sr. of Mattoon, IL; sons, Adam (Monica) Carter of Toledo, IL and J.D. (Courtney) Carter of Mattoon, IL; grandchildren, Alex and David Carter; adopted granddaughter, Alyssa Cordes; significant other, John Evans of Mattoon, IL; brother, Carl Carter Jr.; and sister, Marilyn Wells (Butch Gordon) of Charleston, IL; nieces, Ashley Horn and Jaclyn Pearcy; nephews, Chuck Horn and Andy Pearcy; and several great nieces and nephews. Theresa was preceded in death by her mother and brother, David Carter. Memorial donations in her honor may be given to Schilling Funeral Home to assist with funeral expenses. To send flowers or a remembrance gift to the family of Theresa L. Carter, please visit our Tribute Store. Or, if you would like to donate to the family, please visit Theresa's Tribute Fund. Help ease the financial burden placed on the Carter Family after the loss of a loved one by making a donation. "Email Address" would like to share the life celebration of Theresa L. Carter. Click on the "link" to go to share a favorite memory or leave a condolence message for the family. Provide comfort by sending fresh flowers from our local florist or donating to Theresa's Tribute Fund.